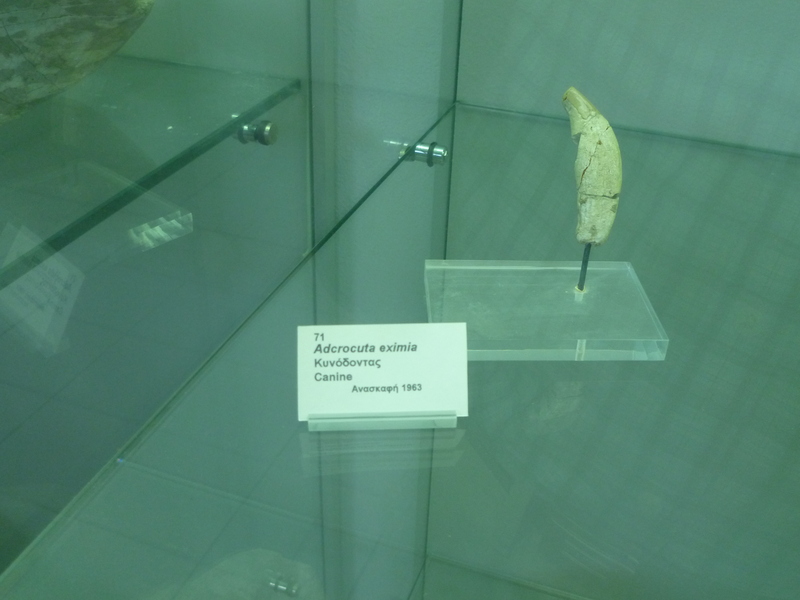 Adcrocuta eximia (Roth and Wagner, 1848) was another member of the diverse assembly of Miocene carnivores and evidence points to a prolonged aridisation in the Eastern Mediterranean during the mid Miocene onwards. There seems to be a debate over the extent of savannah-like conditions there during the emergence of modern Palearctic characters with the Alpine orogeny affecting all of what was to become Europe. During the Miocene epoch not only was the mammal fauna very diversified, but it included Apes some species of which were the forebears of humans. 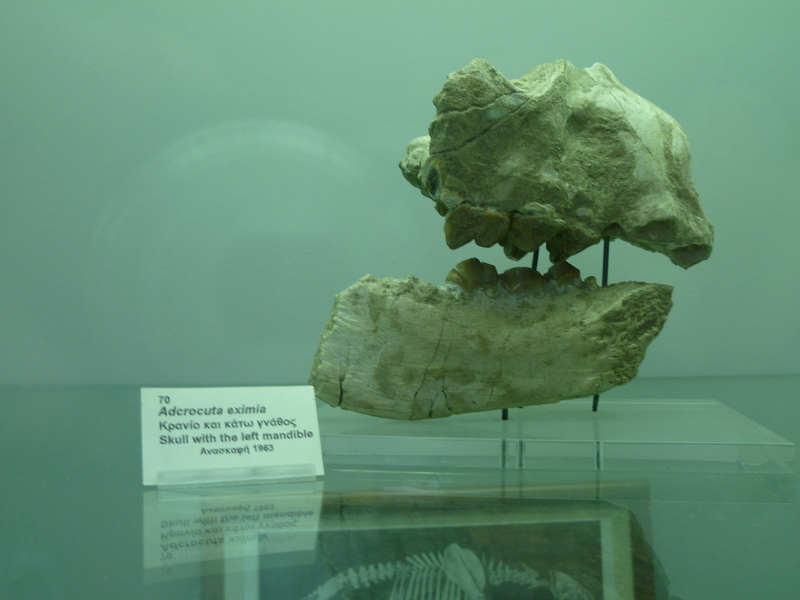 Above, specimen of Hyaenictitherium wongii (Zdansky, 1924). The original genus name has been changed. Both species of Hyaenid are significant members of the Greek Miocene fauna and H. wongii has a vast range extending to China. An extinct genus of terrestrial carnivore in the family Hyaenidae. 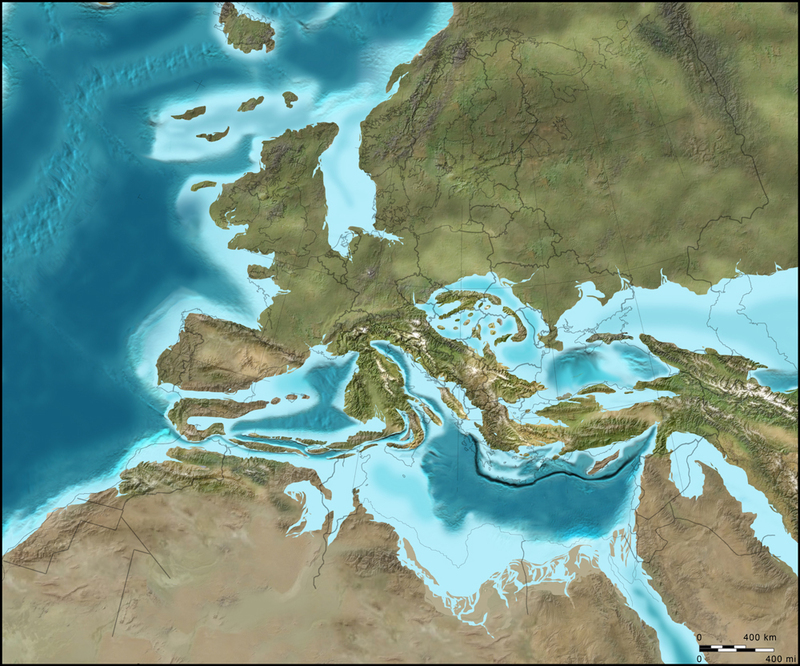 Present in Asia during the Middle and Late Miocene and in Europe and North Africa during the late Miocene. Thalassictis was named by Nordmann (1850). 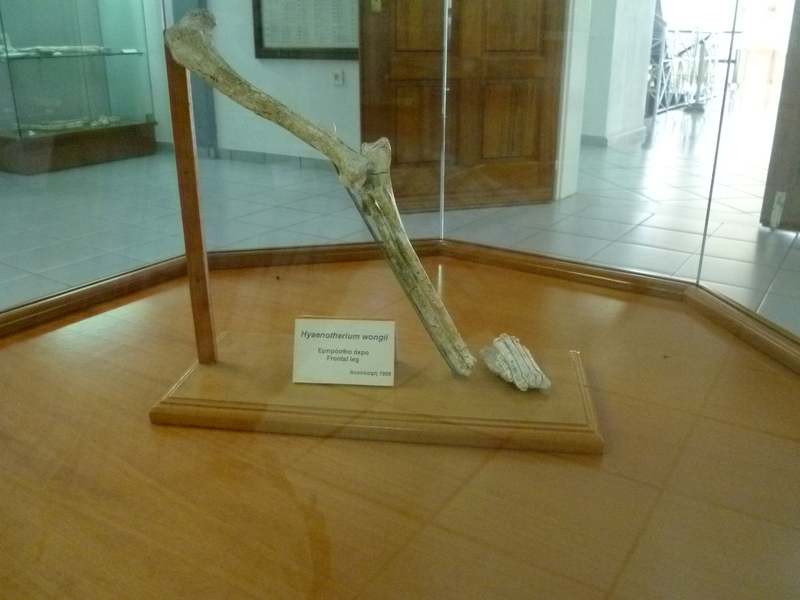 This specimen is on display at the Natural History Museum of Samos. 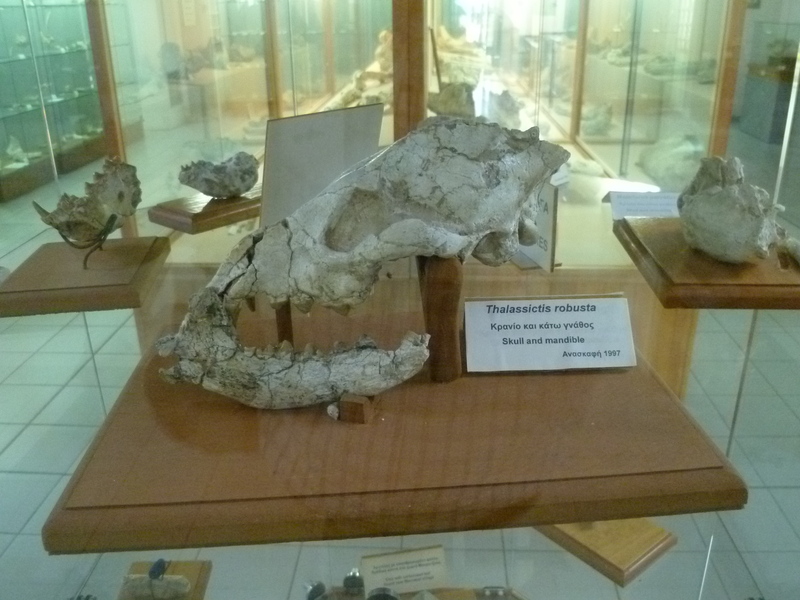 The Island has a famous history of Palaeontology of the Miocene mammal fauna.